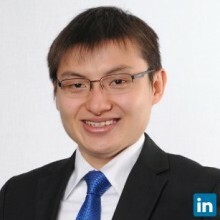 I am an ex-consulting professional with around 3 years of experience in mergers & acquisitions, market entry and strategy in various sectors ranging from life sciences up to renewable energy. My experiences revolved around providing assistance to a number of Forbes-2000 and Fortune 500 companies, as well as some global non-governmental organizations and leading Indonesian firms on their proposed transactions. I have strong aspirations to be able to bring positive impact to other people's lives. In addition, I personally believe in the importance of achieving and maintaining high customer or client satisfaction. I also believe that attention to stakeholders, teamwork and collaboration are the key ingredients to success. During my tenure in EY, I strove to achieve high performance and constantly delivered high quality deliverables, proven by the positive feedback from peers and clients. I was also awarded a double promotion from Associate to Senior Consultant, a role which allowed me to build stronger technical skills and to develop solid managerial and leadership skills. At the moment, I am undertaking my MBA in Melbourne Business School, a leading business school in Asia Pacific Region. Post-completion of my MBA, I look forward to a career in life sciences,consumer goods or technology sector. Those are the sectors which I am extensively exposed to and highly passionate about. I can be reached through this LinkedIn profile or by phone at +61 451 32 2107.